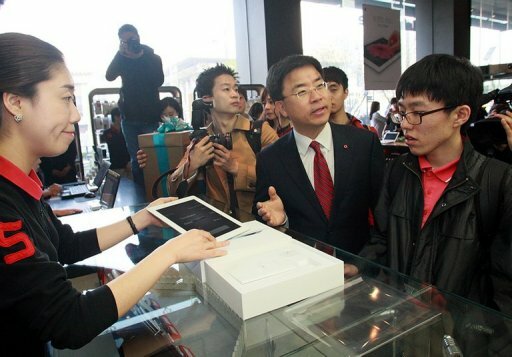 Apple’s new iPad has gone on sale in 12 new countries today, seeing brisk interest in the tablet device in Korea and Malaysia, which were the first to get it today. The device is available to pre-order but the appeal of queuing outside an Apple Store, or authorized reseller, has proved popular, albeit with less of the hype that we saw in Japan, Australia, Singapore during the first launch in March. Today’s launch has been most popular in Korea — where the iPad is out-performing Korean rival Samsung’s tablets, having passed one million unit sales — and Apple fans braved the rain in some parts of the country to wait. Prospective owners in Korea could also buy the device at retail outlets of operators KT Telecom and SK Telecom. Student Lim Jun-Hong was the first in the country to get his hands on the tablet, having slept on the pavement overnight to earn the privilege, as the AFP reports. Queues in Malaysia started modestly but have built up in the morning as would-be new iPad owners weighed up the appeal of getting the device in their hands on launch day, over waiting on a pre-order; delivery of which takes 5-7 days. 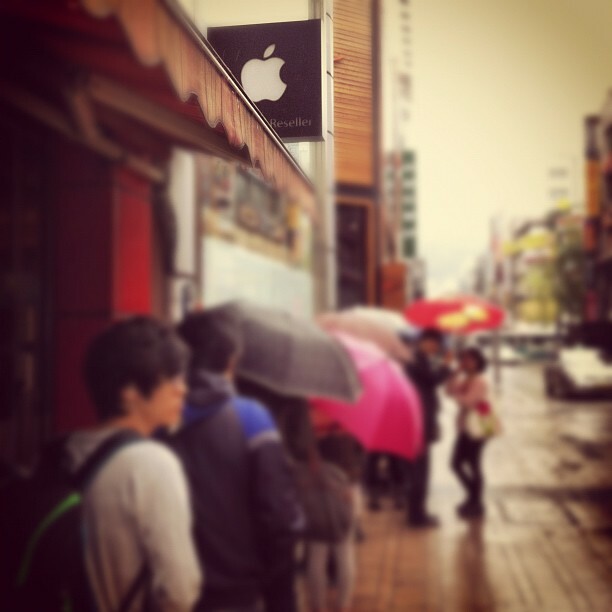 A number of Apple enthusiasts began queuing in the early hours across Malaysia, with the queue at 1u MacCity in capital city Kuala Lumpur said to have attracted 10 people before 7:00 am. 06:43 10th guy arrived for the launching of the new iPad at MacCity 1Utama. Food, water and free t-shirts were given out at the MacCity reseller outlet, to help stoke up the atmosphere and mood, and hours later the queue had grown. By 9:30 am, 30 people were reportedly awaiting the launch at the reseller shop, which is one of many participating in the launch. 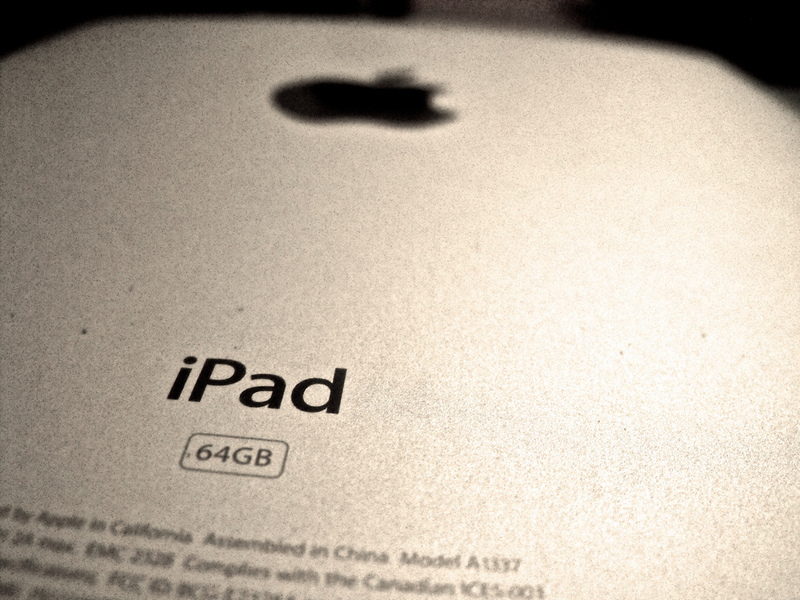 Tax allowances in Malaysia mean that the new iPad available for less than in other countries. For example, the tablet device is said to cost an additional $40 in neighbouring Brunei, although that difference is just $10 cheaper than in the US. As is the case in a number of countries, users in Korea awill be unable to enjoy the 4G-LTE functionality of the device for now, as it is not compatible with any networks there; while LTE is yet to come to Malaysia. The next wave of launches will see Apple’s new iPad come to Colombia, Estonia, India, Israel, Latvia, Lithuania, Montenegro, South Africa and Thailand next Friday, April 27, as Apple takes the device to 50 markets worldwide.